I am not sure who had more fun last night the Graduate and her friends or the parents and their friends. Ok … I am sure, but I plead the 5th. It was a great night of fun for all and Masters Memories was there to capture it. 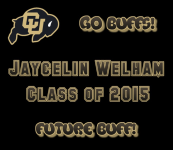 Congratulations Jaycelin! Good Luck at CU in the fall. Go Buffs!! !